Asian Food Youtube Channels List. The Best Asian Food Youtube Channels from thousands of Asian Food Youtube Channels in our index using search and social metrics. We’ve carefully selected these youtubers because they are actively working to educate, inspire, and empower their audience with frequent updates and high-quality videos. About Youtuber The Asian Food Channel (AFC) is the premier and leading food and lifestyle broadcaster based in the heart of Asia. As the first food TV channel to broadcast pan-regionally in Asia, AFC provides a healthy mix of both Eastern and Western content in a variety of formats all day! About Youtuber I’m CiCi Li, the TV presenter of CiCi’s Food Paradise on NTD Television and a food columnist of The Epoch Times. Join me in my kitchen and discover the endless wonders of the Asian cuisines. I'll upload a quick and easy Asian recipe on every Tuesday! About Youtuber Hi! I'm Maangchi! My channel is all about cooking, eating, and enjoying Korean cuisine with your family and friends. About Youtuber Follow this channel for authentic Korean cooking, recipe tutorials and more. I just like cooking and eating. About Youtuber Noriko and Yuko of Japanese Cooking 101 would like to show you how to make Japanese food at home. With easy-to-follow video recipes and ingredients you can find anywhere, Japanese food will not be the food you only eat at restaurants! About Youtuber Find various types of Chinese cuisine in this you tube Chanel. About Youtuber Chinese everyday cooking recipes, tips and more. About Youtuber Vietnamese Food Recipes-Asian and American Comfort Food Recipes. We teach you step-by-step how to cook Vietnamese Food and Asian Food Recipes and make a great meal for your self or family. About Youtuber Every week Mandy share traditional Chinese recipes with you on Souped Up Recipes channel. About Youtuber Welcome to channel "Street Food VDO". I create this channel to share you about Travel, Street Food. About Youtuber This channel is all about learning how to cook the same taste that you'd get in China. Our goal for each video is to give you a recipe that would at least get you close to what's made by some of our favourite restaurants here. Because of that, our recipes are no-holds-barred Chinese when it comes to style and ingredients - but feel free to ask for tips about adaptations and sourcing too! About Youtuber I love cooking all kind of foods but my best is Cambodian food because this was the food my grandmother and mother shared to me. About Youtuber Taiwanese food and cooking. Using authentic Taiwanese recipes, ingredients and methods. About Youtuber Hi! Welcome to our recipe channel! We love to eat and we love to cook and we love to share our favourite recipes with all of you. Every recipe on this channel is something we made for ourselves and if you follow the cooking method exactly, then you will end up with something delicious. Although we love foods from all around the world, we love Asian foods the most, so most recipes on this channel will be Asian inspired. About Youtuber Enjoy step-by-step recipes that are made easy to follow! Savour traditional Asian delights like Kueh Pai Tee and Popiah, to Asian-inspired modern day delicacies like Matcha Pancakes and Steamed Chinese Pumpkin Muffins by Angie Liew. About Youtuber Follow Cooking With Momma Heng for traditional Cambodian cooking videos. About Youtuber My name in Linda. I share my passion for Malaysian Chinese cooking here on this channel. I promote awareness and appreciation of Malaysian Chinese food, culture, and stories with detailed recipe instructions and video tutorials. About Youtuber Elaine's Homemade Easy Chinese Recipes focusing on Sichuan Cuisine. About Youtuber My name is KP Kwan. Taste of Asian food is about my recipes, my experience and culinary skills that I gained from my hard work. About Youtuber Welcome to my Live Asian Kitchen! I run Live weekday broadcasts covering Asian, and more specifically, Southeast Asian cooking. About Youtuber Hello and welcome to my channel. Here I share my food experiences and recipes from every nook and corner of Cambodia. About Youtuber Daniel Ang is channel dedicated to Asian food. Enjoy recipes and reviews of various asian food items. About Youtuber Food writer and photographer, Maureen Ow, is on a constant quest for yummy food in Singapore. 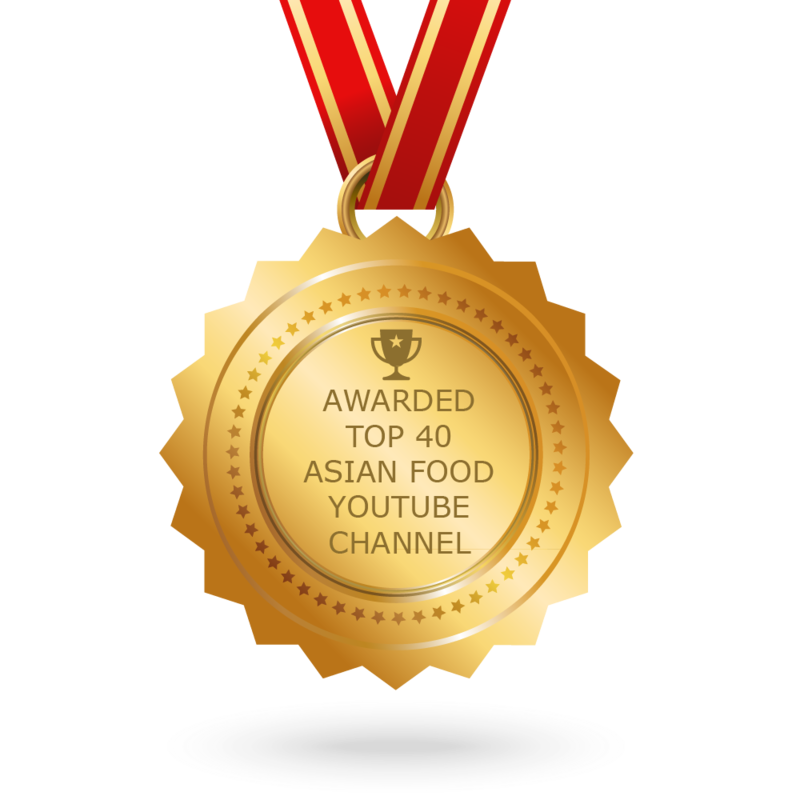 CONGRATULATIONS to every youtuber that has made this Top Asian Food Youtube Channels list! This is the most comprehensive list of best Asian Food Youtube Channels on the internet and I’m honoured to have you as part of this! I personally give you a high-five and want to thank you for your contribution to this world.